Sorry I haven't been posting her as much lately. A few things have been going on in my life that I'm just dealing with at the moment. However, let's ignore that for a moment and get to the topic at hand. 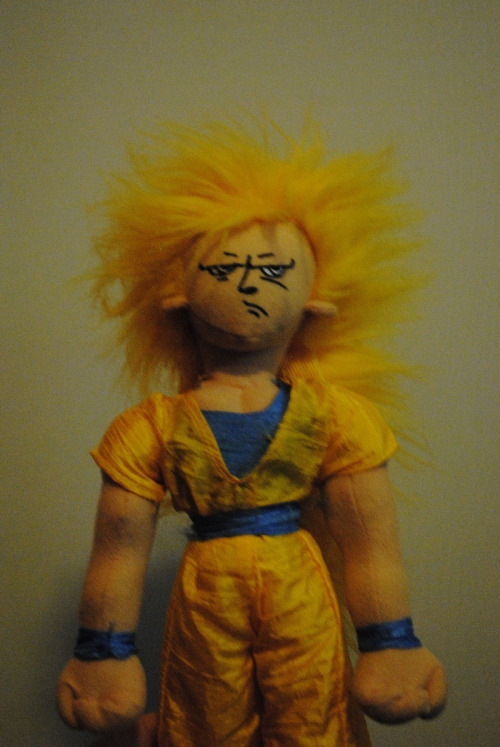 A few years ago I came across an Ebay listing for a Super Saiyan 3 Goku doll that I remember really made me really laugh when I first saw it. I almost considered buying it but I let the auction run its course and thought I'd leave it at that. However, my curiosity overcame me, so I contacted the seller to ask if they'd still be willing to sell it. Unfortunately, he informed me that since it didn't sell, he just threw it out. A sad tale for a piece of DB merch, aye? 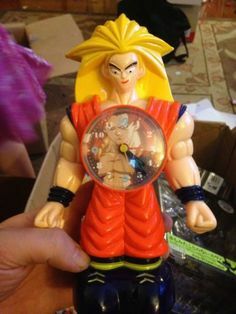 I remember I tried searching for any other sellers that were selling that Goku doll but I was never able to find it ever again. I'm pretty sure I posted a picture of it here once but I really cannot be bothered to go through my post history to try and see, which is why I'm asking the DBF community here if they can help. The closest looking doll I could find that looked like what I remember is this. However, there are some telltale differences. 1. The hair is not sculpted but looked more like normal hair, just made out of fabric. Best description I can think of is like a mullet if I were to describe its shape. 2. The face was frowning like the picture I linked but much more pronounced. 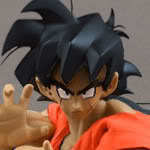 It was much more detailed and actually kinda looked like the SSJ3 Goku face from the anime itself. I'll need to look through my picture archive to see if I have a picture I saved of it all those years ago but I'm hoping that there's anyone here who knows just what I'm talking about. I'm pretty sure it was an American doll figure as the quality looked nowhere near like a Japanese plush doll. i found this info on googlr, is this it? this gohan one from that set sold in may. maybe you can contact the seller to see if he has more. Could this clock cheer you up? gp Nah, it's not that. That one's is sculpted while the one I'm looking for wasn't. Branjita Got me to chuckle at least. gp Yeah, troll hair sounds like a good description of what the hair looked like. 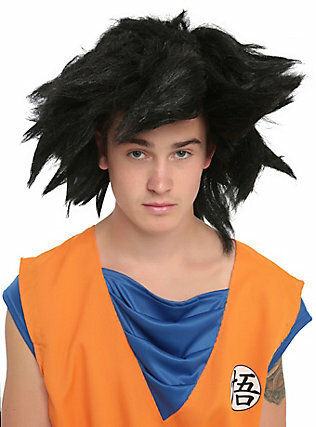 Also kinda like this bad cosplay, lol. 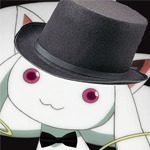 Double posting but I just found the auction image that was used. So there's the product itself. Now we need a name any potentially anyone willing to sell it. LMAO WOW! Goku has had a BAD day! Yeah, his looks was what made me laugh so much about him when I first saw it. Wish I could find another but no results so far. Everything about it screams mexican bootleg or self-made by drunken limbless grandma at midnight. Shouldn't be to hard to find someone who can make a copy from scratch. In a case like this though, I wouldn't be satisfied with a mere copycat. Only the genuine article would be something I'd want. 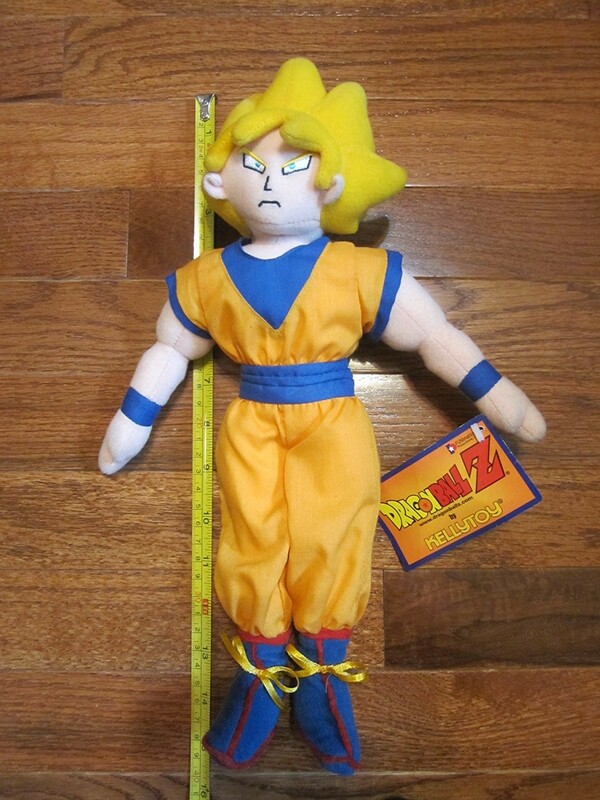 This Goku plush possibly may be my next holy grail, so do keep in mind I am willing to buy this if anyone is able to find one or owns it and is willing to sell. Have you checked compracompras.com ? check the Argentina page. (/ar)I have seen similar Latin ko plushes there. doomprevails88 Just checked and nothing is showing up for me. This damn well feels like another case of Full Action Pose Yardrat Goku, haha. Some progress maybe? I dunno. While doing a search for some DB related stuff, I came across these Virtua Fighter plush toys. When compared to the Goku I'm looking for, it seems these ones may have come from the same manufacturer. They're also advertised as UFO Catcher toys, which means they were able to be grabbed in those crane game machines. This also lines up with an anon on 4chan who responded that he apparently got that same Goku toy from a crane game years ago. So we potentially may have narrowed the search down to this. Gonna keep at it if I find anything. Been talking with someone who collected plushies in the 90/2000's and they don't seem to recognize it. Neither did their friend who was more into DBZ. Banpresto is apparently the main supplier of UFO Catcher toys and there's a Sailor Moon line of stuff that apparently also looks similar. They also had bendy wires in the limbs. 1995 also seems to be a significant year with the plushies discussed so far. It was the year Sailor Moon began airing in the US (August 1995), the year those Virtua Fighter plushies were released and is also the same year that Super Saiyan 3 was first revealed, specifically March 1995. Banpresto usually tends to be on the pulse when it comes to new material, so I don't think it would be too difficult to imagine that it was released in that year. The bendy wire thing seems like it would line up with the proportions as well, especially if the material was soft enough to hold a pose of some sort. The *only* thing that might hold this back is the aforementioned 1995 date for Sailor Moon, though I am doubtful Irwin Toys would release a SSJ3 Goku toy in that year due to DBZ not yet airing at the time (1996 was when the series first began in the US). Details, details. The search continues!